Russian sun-synchronous orbit electro-optical reconnaissance satellite first flown in 2008. Reports also gave the code name Kvarts; and it was said to utilize a LOMO-built 17V321 optical system originally developed for the Arkon satellite. There were reports that a a Yantar-derived service module was used, but an illustration published in a Russian military document showed a satellite with a new service module and cruciform solar arrays. The first Persona satellite was launched in July 2008; it reportedly malfunctioned in February 2009 due to an electronics failure. The second was not launched until June 2013. It was said to be delayed because compenents had to be cannibalized from a Resurs-P 1 satellite.This spacecraft also failed after a short time in orbit, necessitating to bring the old film-return Kobalt-M satellites into service to bridge the gap. Reconnaissance, optical satellite built by TsSKB-Progress (bus), LOMO (payload) for VKS > VKO, Russia. Launched 2008 - 2015. Status: Operational 2008. First Launch: 2008-07-26. Last Launch: 2015-06-23. Number: 3 . Gross mass: 7,000 kg (15,400 lb). Family: Surveillance. Country: Russia. Launch Vehicles: R-7, Soyuz-2-1B. Launch Sites: Plesetsk LC43/4, Plesetsk LC43. Bibliography: 6776, 12948. 2008 July 26 - . 18:31 GMT - . Launch Site: Plesetsk. Launch Complex: Plesetsk LC43/4. LV Family: R-7. Launch Vehicle: Soyuz-2-1B. Cosmos 2441 - . Mass: 7,100 kg (15,600 lb). Nation: Russia. Agency: KVR. Class: Surveillance. Type: Military surveillance satellite. Spacecraft: Persona. USAF Sat Cat: 33272 . COSPAR: 2008-037A. Apogee: 735 km (456 mi). Perigee: 711 km (441 mi). Inclination: 98.30 deg. Period: 99.20 min. First in the Persona series of Russian military imaging reconnaisance satellites. The initial orbit was 195 x 726 km x 98.3 deg. The spacecraft maneuvered itself into its operational sun-synchronous orbit on 31 July. Reportedly the satellite married the Yantar electro-optical bus with subsystems developed for the abandoned Arkon-1 reconnsaisance satellite. Said to have shut down in February 2009 due to an electronics failure. 2013 June 7 - . 18:37 GMT - . Launch Site: Plesetsk. Launch Complex: Plesetsk LC43. Launch Pad: LC43/4. LV Family: R-7. Launch Vehicle: Soyuz-2-1B. Cosmos 2486 - . Mass: 7,100 kg (15,600 lb). Nation: Russia. Class: Surveillance. Type: Surveillance satellite. Spacecraft: Persona. USAF Sat Cat: 39177 . COSPAR: 2013-028A. Apogee: 733 km (455 mi). Perigee: 714 km (443 mi). Inclination: 98.30 deg. Period: 99.26 min. Second Persona reconnaisance satellite, in sun-synchronous orbit with 10:31 local time descending node. Said to have failed after a short time in orbit..
2015 June 23 - . 16:44 GMT - . Launch Site: Plesetsk. Launch Complex: Plesetsk LC43/4. LV Family: R-7. Launch Vehicle: Soyuz-2-1B. Cosmos 2506 - . Mass: 7,000 kg (15,400 lb). Nation: Russia. Class: Surveillance. Type: Surveillance satellite. Spacecraft: Persona. USAF Sat Cat: 40699 . COSPAR: 2015-029A. Apogee: 725 km (450 mi). Perigee: 706 km (438 mi). Inclination: 98.29 deg. Period: 99.09 min. 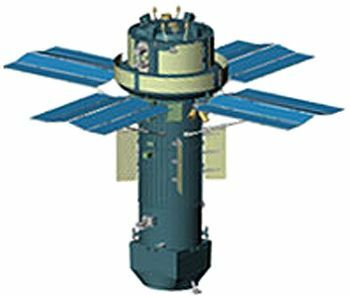 Third Persona-1 spy satellite, built by TsSKB-Progress in Samara and equipped with electro-optical imaging cameras. Said to be the first to return its data via an optical communications link to an unidentified geosynchronous satellite. On June 28 the satellite manuevered from an elliptical transfer orbit to a circular sun synchronous orbit with 0840 GMT local time of the descending node.